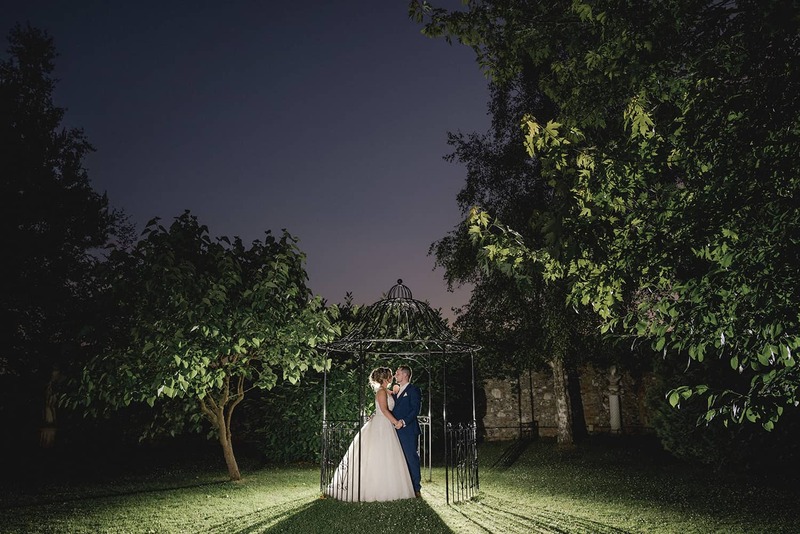 Beautiful photo opportunities in our lovely grounds and barns. Weddings at Selden Barns are always a special event. 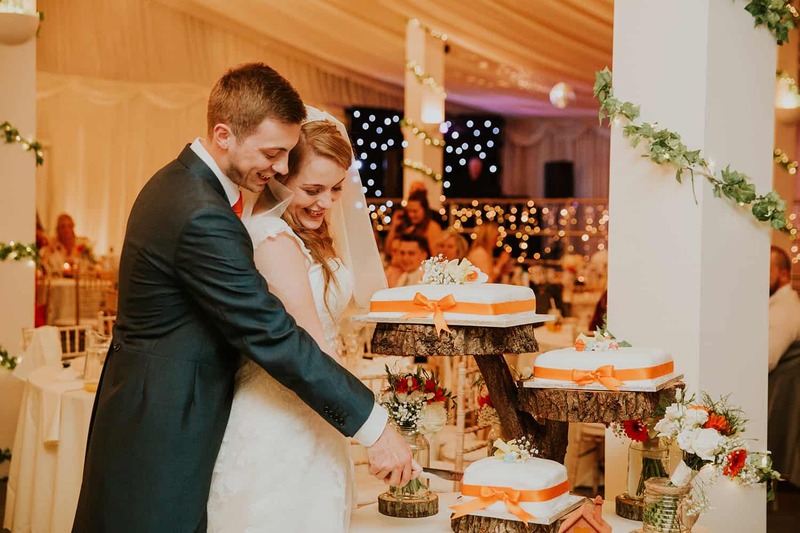 Our exclusive use venue is yours to decorate and customise for that truly unique theme that is all you! You can view a short video of the venue here, just click the video. 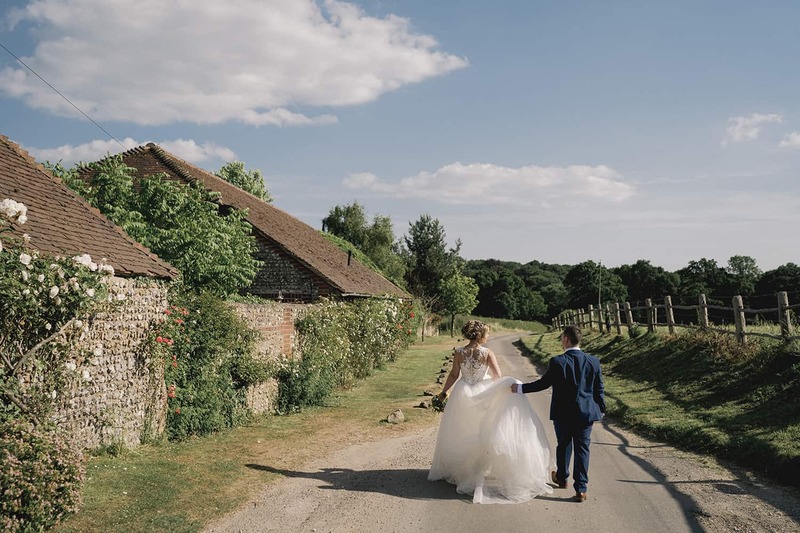 Nestled in the South Downs National Park, Selden Barns Wedding Venue is set in an idyllic 50-acre, rural location surrounded by fields, forests and hedgerows. The formal gardens to the west are bounded with flint and brick walls and the patio terrace looks east across the fields of grazing horses towards Patching Village, between Worthing and Arundel in West Sussex. Family owned and run, we create a friendly, warm and exclusive atmosphere for your weddings and special events. 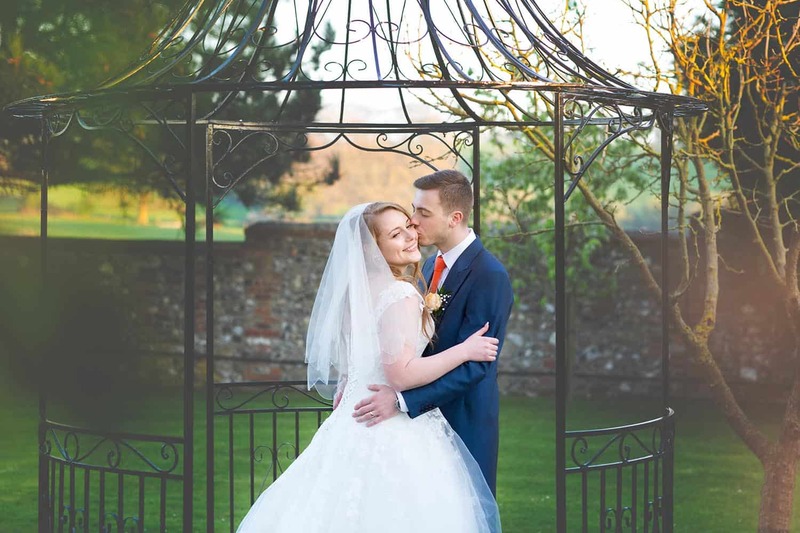 With our license for civil ceremonies, you can get married in our beautiful old ceremony room before moving over to the wedding barn for an unforgettable experience. 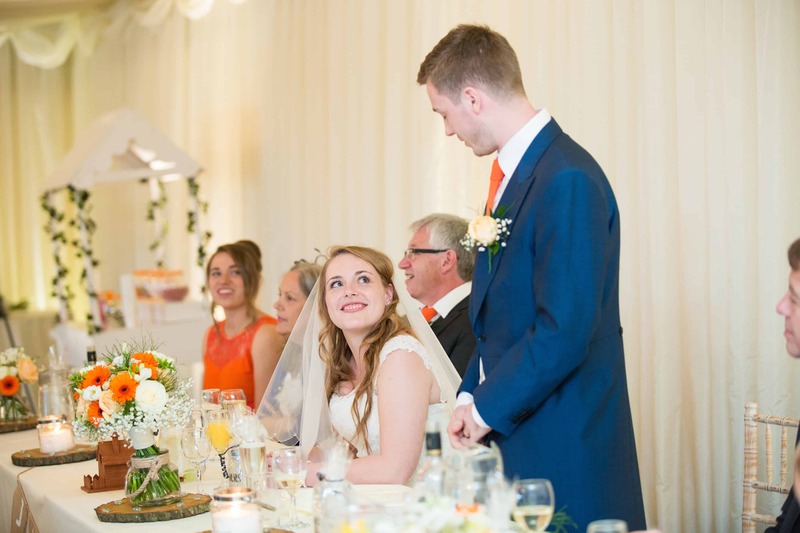 On your wedding day, the entire venue will be yours, to relax with your friends and family. 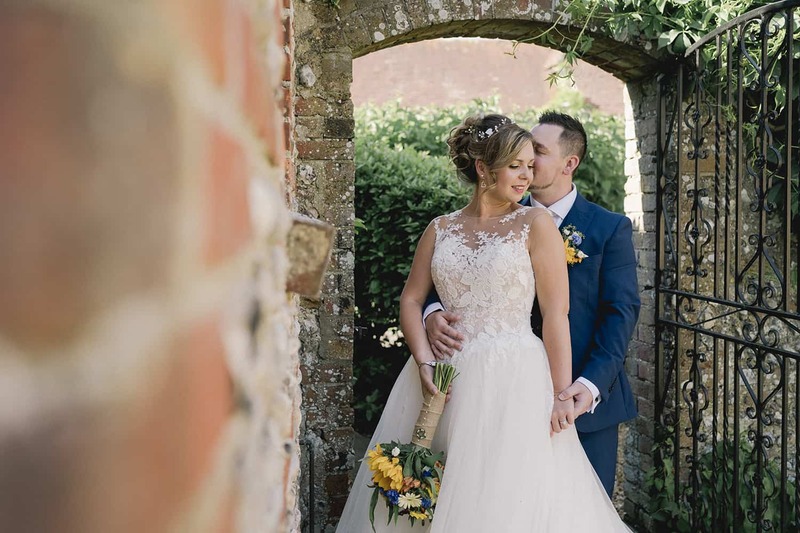 Step outside the barn and gaze over 50 acres of surrounding West Sussex countryside from the comfort of your patio terrace where you can relax while your special day unfolds. 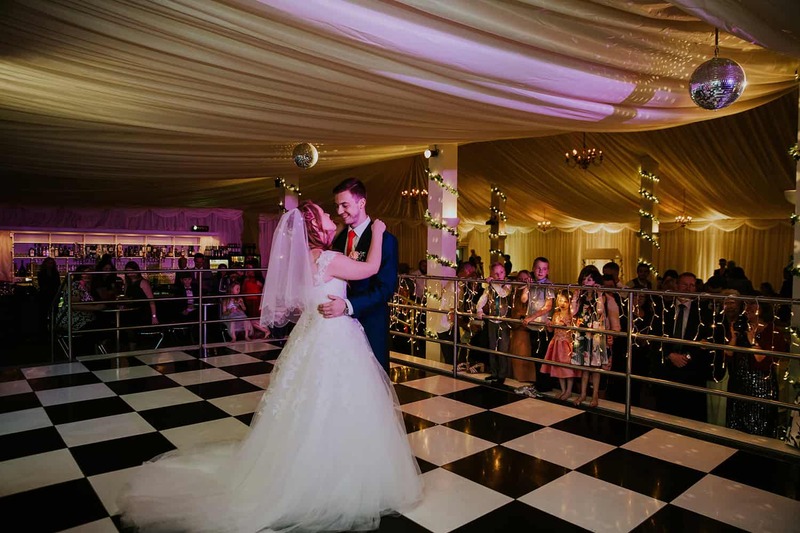 Step inside, where the integrated raised dance floor and tall central pillars exude atmosphere, creating a sense of grandeur, all cloaked in permanent marquee ivory linings. Don’t forget to bring your confetti… we love it! On your wedding day, the entire venue will be yours… to relax with your friends and family… to consider as your own country retreat. 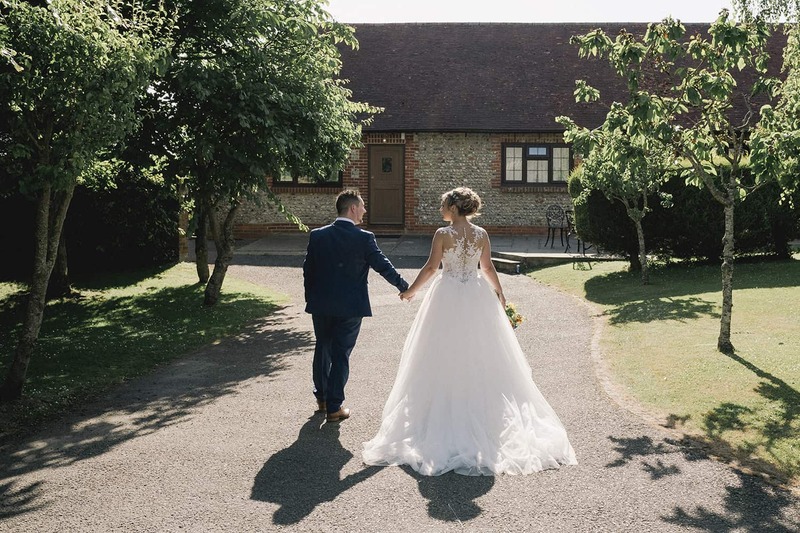 Step outside the barn and gaze over 50 acres of surrounding West Sussex countryside from the comfort of your patio terrace where you can relax while your special day unfolds. Wheather you are looking to hold a party, family gathering, or a celebration of a family member’s life. 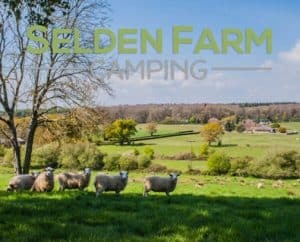 Selden Barns can help you make your event extra special. Family owned and run, we create a friendly, warm and exclusive atmosphere for you and your guests.